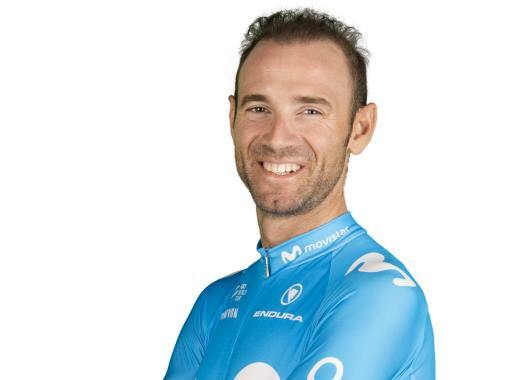 Alejandro Valverde (Movistar) finished the tenth stage of the Vuelta a España with the bunch, keeping like this his second position in the General Classification of the race. All eyes were on Valverde at the intermediate sprint of the day as it was expected of him to attack to try to take bonification seconds and seize the Red Jersey, but that didn't happen. "We can’t really say it was an easy stage. We had 43kph average over 180km, that’s never easy, but it might have well been the least difficult stage so far in this year’s Vuelta," the rider commented at the finish line. "Obviously I could have gone for that final bonus second into the intermediate sprint, but actually, except for (George) Bennett and Lotto-Jumbo, no one went for it. I said it before the start and I kept my word – I wasn’t going to contest that sprint. Of course, I’d like to be the race leader, but we won’t get obsessed with it. " The Spaniard already look forward to the next stage, which will be the longest of the race, without forgetting the trouble the team faced at the end of the stage. "It could be a good stage tomorrow, though it will be another hard day," he explained. "We had to get through a difficult finish today, with some strong winds and lots of punctures, which made for more dangerous riding. We were focused, got back to the peloton with all of our riders and it’s a good day for us in the end!"